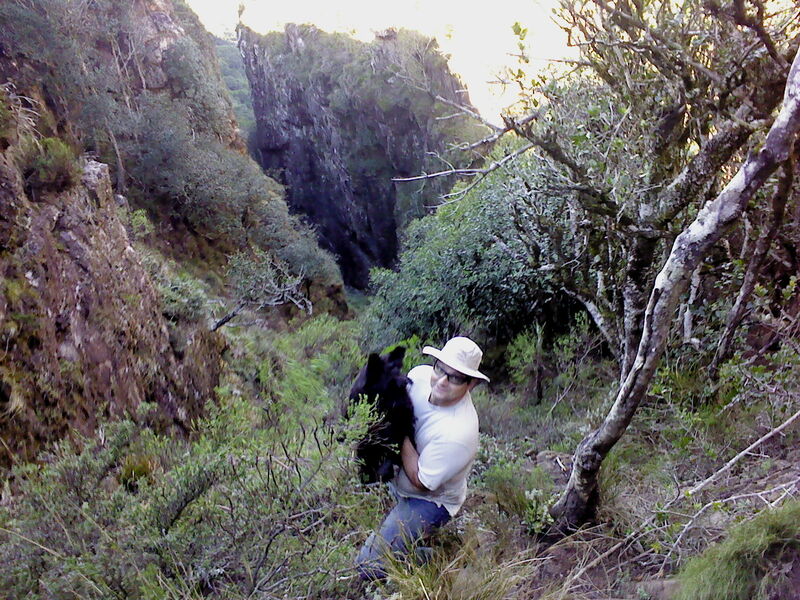 If you are wanting to a hike on Table Mountain that is completely off the beaten track and away from other people, Dark Gorge might just be the trail for you. 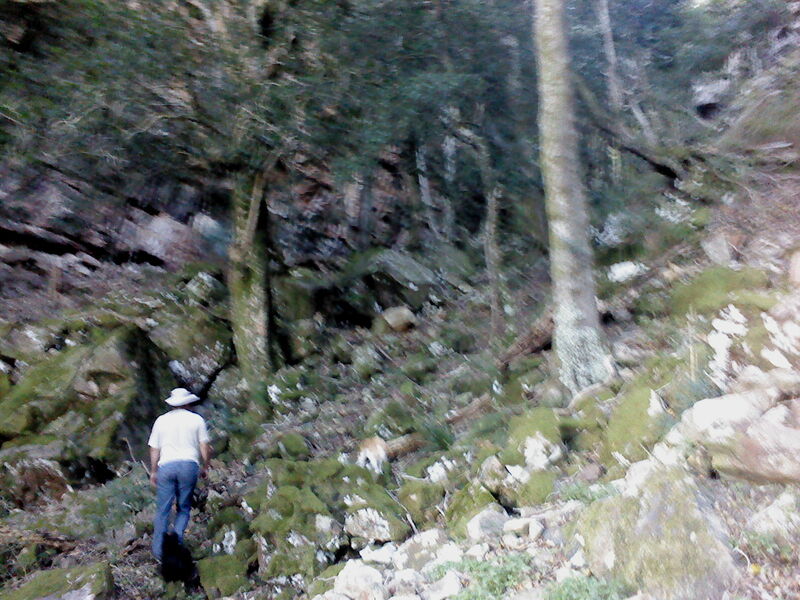 It is steep and loose underfoot so not an easy trail, but for adventurous types it is wonderful. 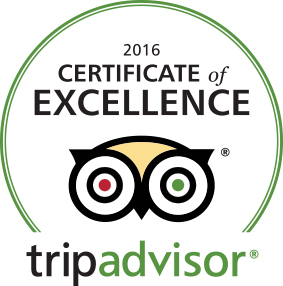 Join Ridgway Ramblers on a trail that is off the beaten track. Contact us here. 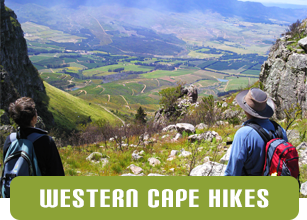 Situated above the suburb of Newlands in the Southern suburbs this route takes you up onto the saddle between Devils Peak and Table Mountain. 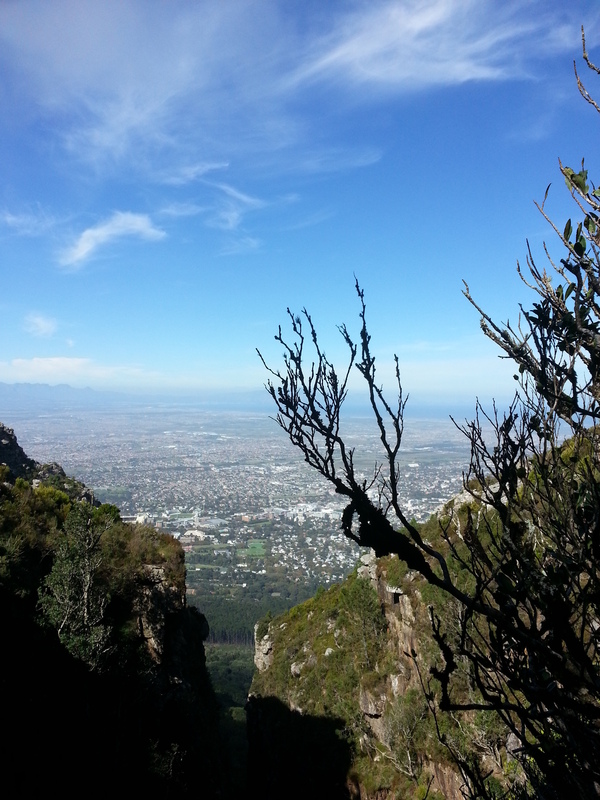 The best place to start is in Newlands Forest. 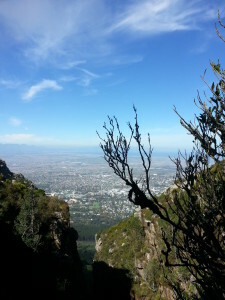 You head up to the contour path and start walking towards Rhodes memorial. 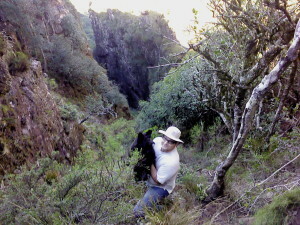 Dark Gorge is the gorge just past Newlands Ravine. It is not marked and the path is marked by cairns, so not obvious at all. The first part of the hike is through thick indigenous forest. As you come out of the trees the gorge splits and you want to take the left hand side. The right hand side leads to Dark Gulley which is its not possible to clambour up. 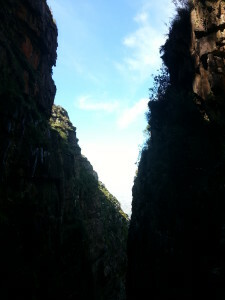 The gorge gets narrower and steeper as you get near the top. 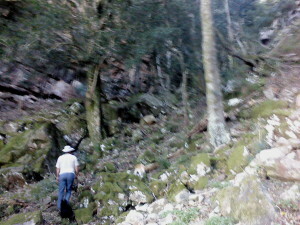 If you follow the left wall, there are trees and their roots to offer foot and hand holds but it is is loose underfoot. Definitely do not venture here without proper hiking boots. 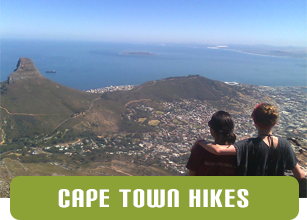 Once at the top you can go up the ledges route (a tough scramble) to Maclears Beacon, or up to the top of Devils Peak. Alternatively you can just go back down Newlands Ravine back to you car. Note: Do not attempt to do back down Dark Gorge. It is just too steep and loose underfoot to be safe. Here are some photos of the trail.